Not only are coupe SUVs a thing, they’re a hot little ticket these days. With more and more buyers looking in this market, more and more manufacturers have flocked to serve the hungry crowd. 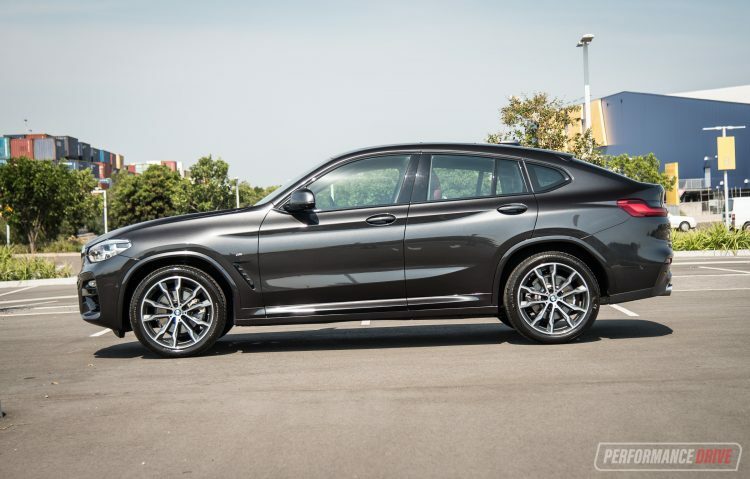 BMW was the first cab of the rank with the polarising X6 a decade ago. 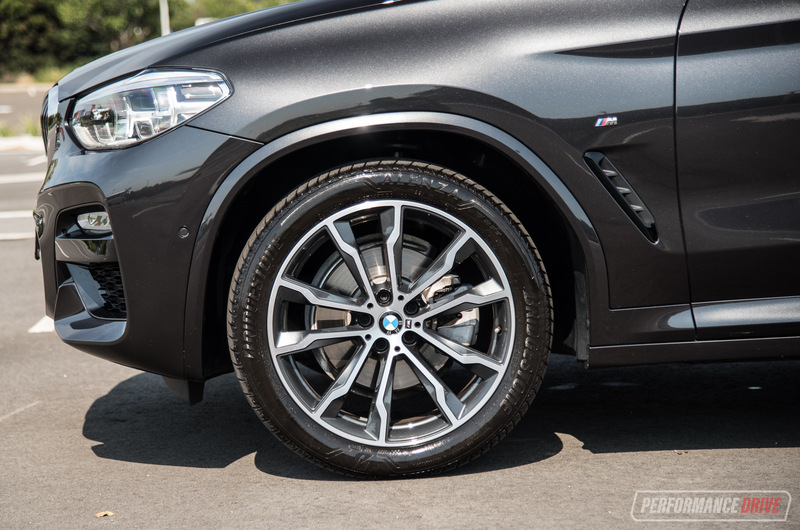 Enter the second-generation ‘G02’ X4, which shares the CLAR-based platform with its SUV brother, the X3. It’s 81mm longer, bringing it to 4752mm in total, and 37mm wider, making it a staunch 1918m wide, compared with the first generation model. 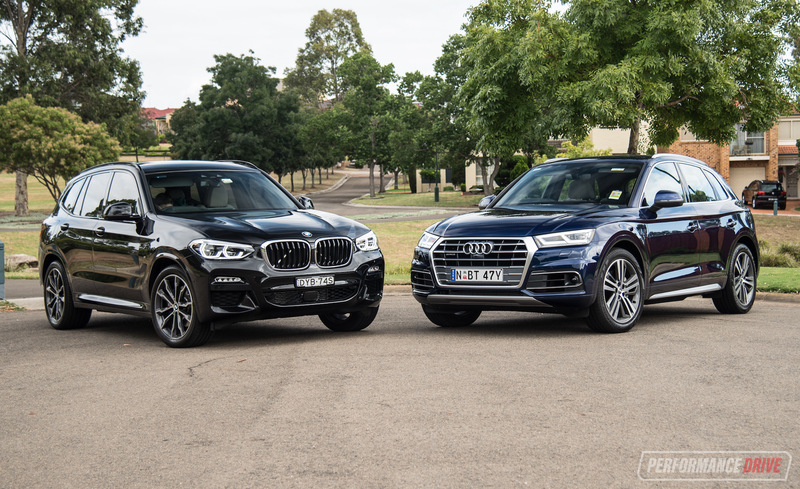 The xDrive20d we’re reviewing here fits in the lower-mid section of the X4 lineup, above the entry xDrive20i (from $76,900), but below the xDrive30i (from $83,900) and X4 M40i (from $109,900). 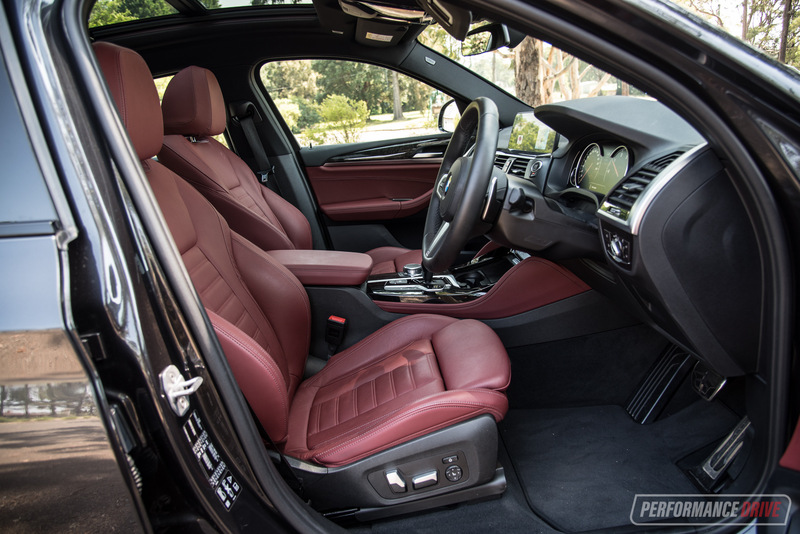 Our review car is fitted with $12,250 worth of additional extras, including the Innovations Pack, 20-inch alloy wheels (standard M Sport 20d has 19s), and a panoramic sunroof. The question looming is, at $10,000 more than the comparable X3 20d model, where does the X4 excel and what exactly are you benefitting from by paying more? 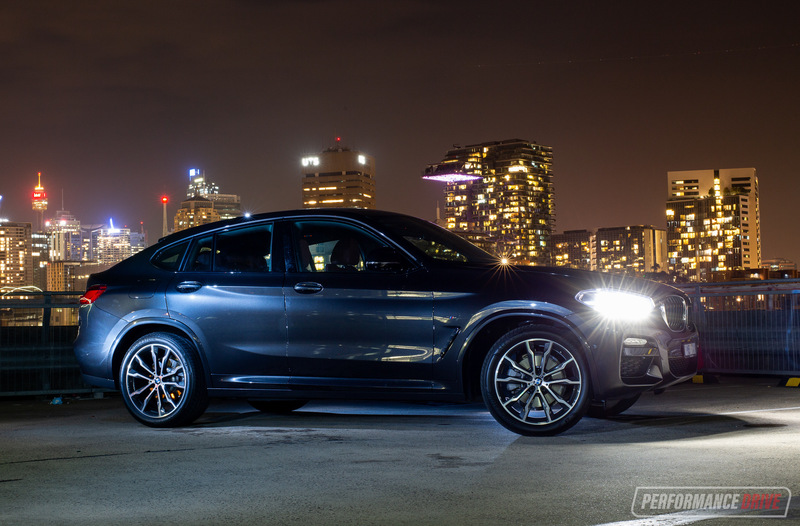 As you approach the X4, there’s little debate in terms of its uniqueness and head-turning ability. 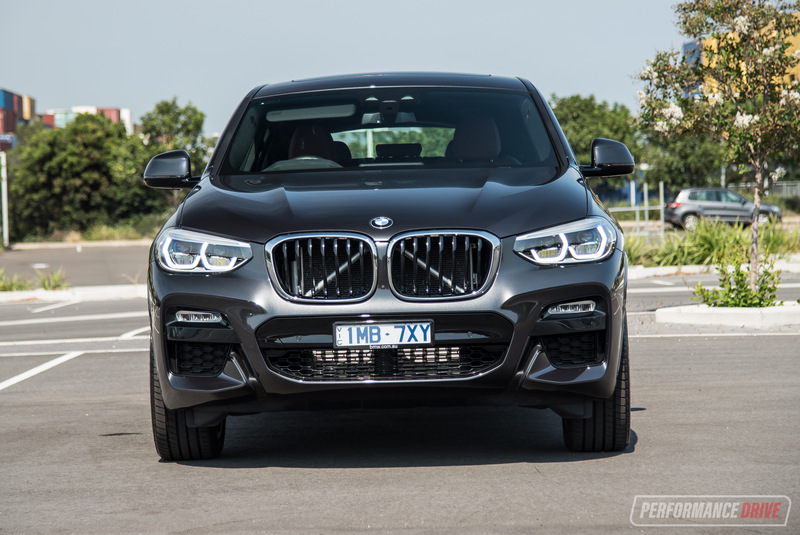 There’s the archetypically-BMW front profile with large kidney grilles, sharp lines around the splitter, and bold LED headlights. 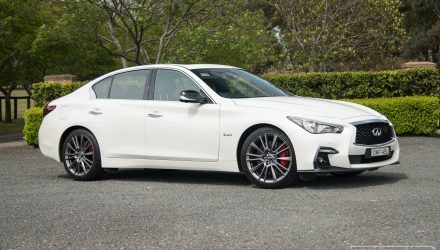 We’ll leave the final say on styling up to you, but we find the front three-quarter profile to be the most handsome angle, while the sparse, largely blank and undulating rear profile left us wanting more. Instead, we’ll move on to the interior, which will leave very few people disappointed. The optional Tacoma red Vernasca leather as tested adds to the X4’s already copious amounts of luxury inside. This is contrasted by ash wood veneers and piano black trimming. It might not be everyone’s cup of tea, but it is unmistakably posh and upper-class. And as per usual with BMW, they’ll make whatever cup of tea you like… if you’re willing to pay for it. 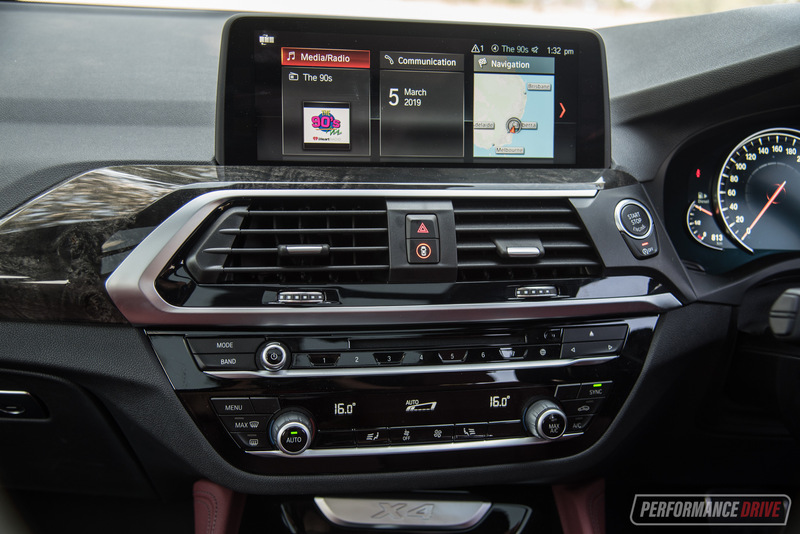 Atop the console is BMW’s 10.25-inch touch-screen iDrive system, which admittedly does take some getting used to, for new drivers, but is a great system to use once you’re initiated. The speed in which it operates is complimented by a graphics interface that is a cut above most MMI systems out there. 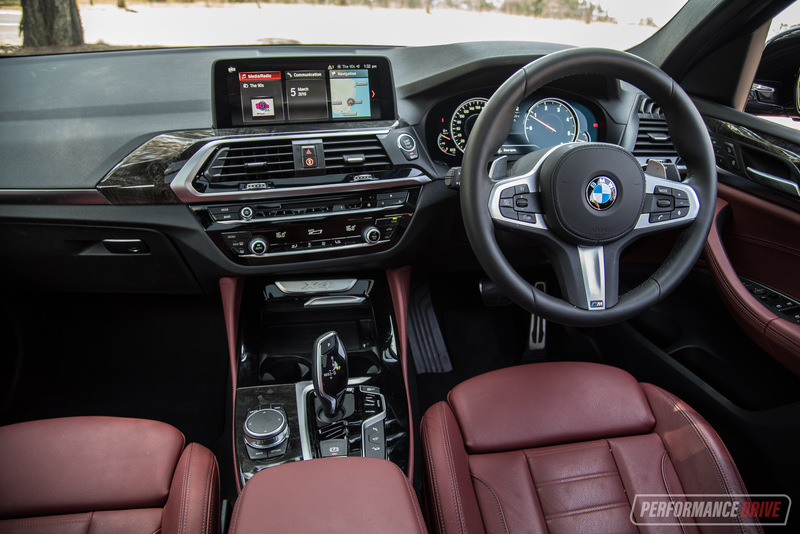 The leather steering wheel is actually quite compact, and thankfully, isn’t over-cluttered with buttons. 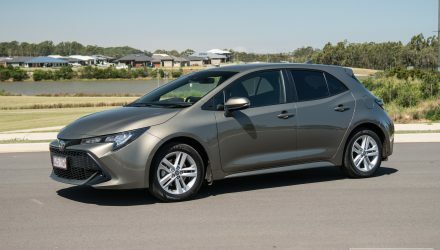 You just have cruise control and audio control settings, as well as haptic feedback from the sophisticated switchable safety functions. The centre console on the other hand is another story, it’s covered with buttons. 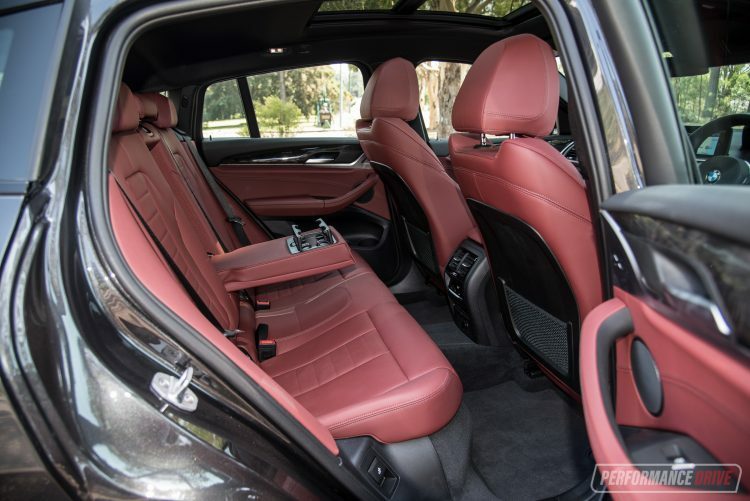 But everything has been purposefully designed by BMW with ergonomics firmly in mind. One area where the X4 does fall on its own sword is practicality. 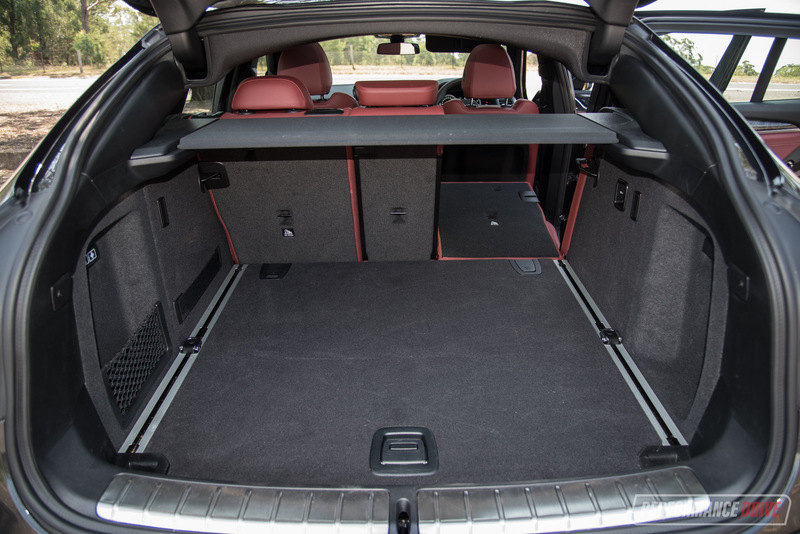 There’s a tonne of space in the boot – 525L to be exact – for bulky objects, but this comes at the sacrifice of the rear passenger’s comfort; not to mention the lack of headroom. 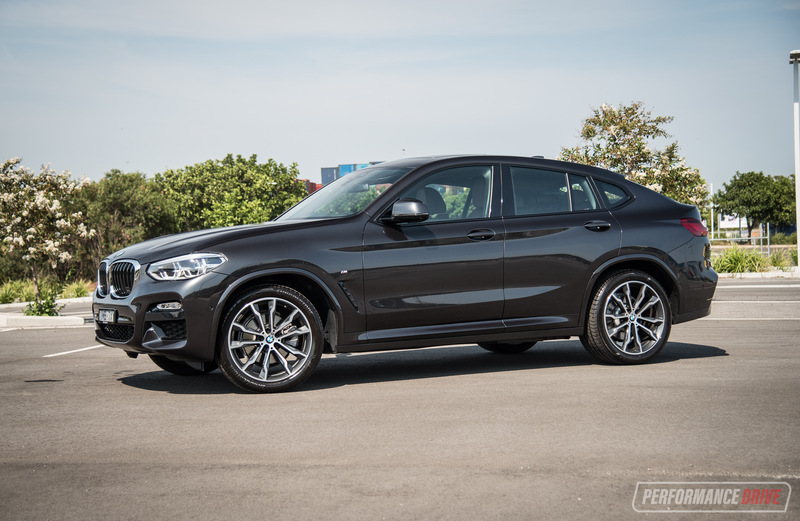 That love-it-or-hate-it coupe styling seems almost blatantly aimed at those who don’t want a typical soccer-mum SUV – BMW even calls the seating a ‘4+1’ layout. If you’re six-foot and above, chances are your head will be touching the ceiling in the back. 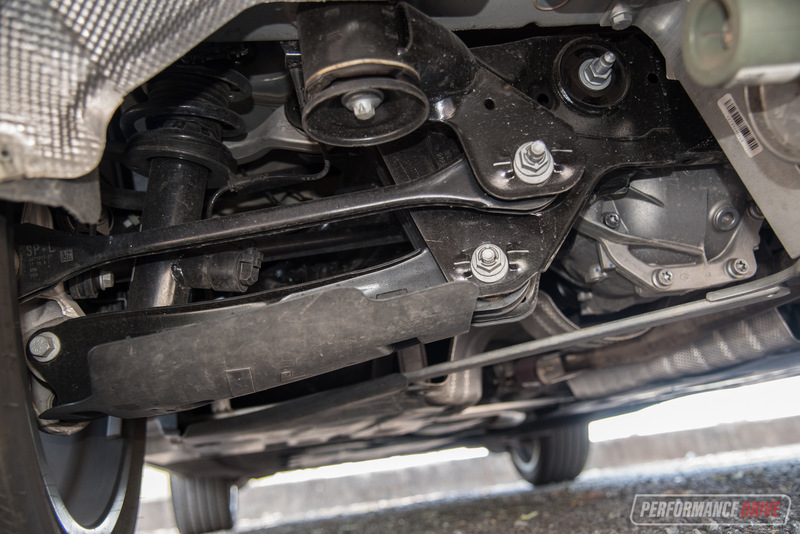 Considering this is a BMW with a fairly low ground clearance of 204mm, there’s little chance you’ll see one tearing up the trails. While we tossed up the taking the X4 off road, we quickly dismissed the idea when we glanced at the 20s optioned on this test car. Instead, we put it through a much more realistic and feasible test; the urban jungle. First off, the power. 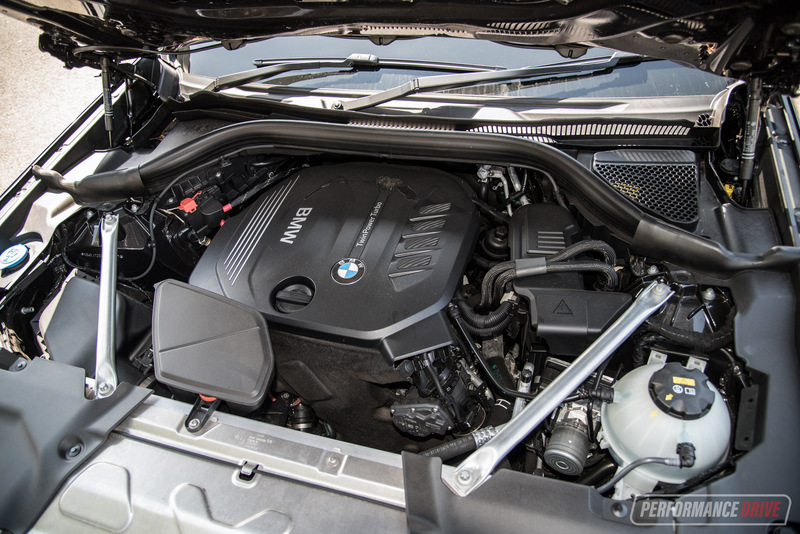 There’s a 2.0-litre, four-cylinder turbo-diesel underneath that curved bonnet, producing 140kW and a lovely 400Nm. This transmitted to all four wheels via a BMW-tuned ZF eight-speed torque-converting automatic transmission. 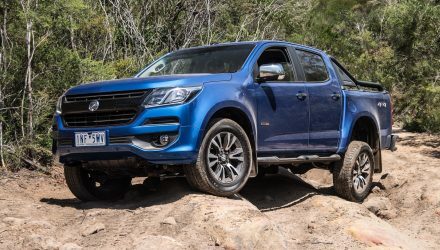 It’s plenty powerful enough, despite being a low-spec engine. 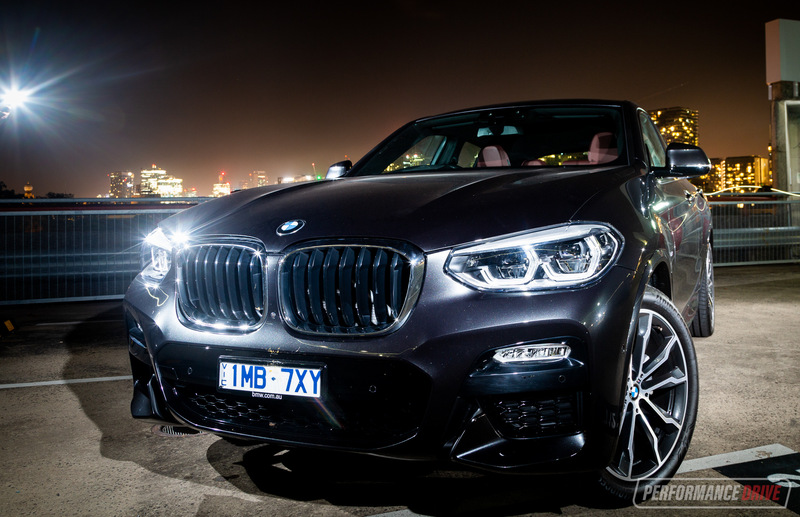 BMW claims a 0-100km/h sprint in 8.0 seconds, and we did it in 8.13 with the VBOX. 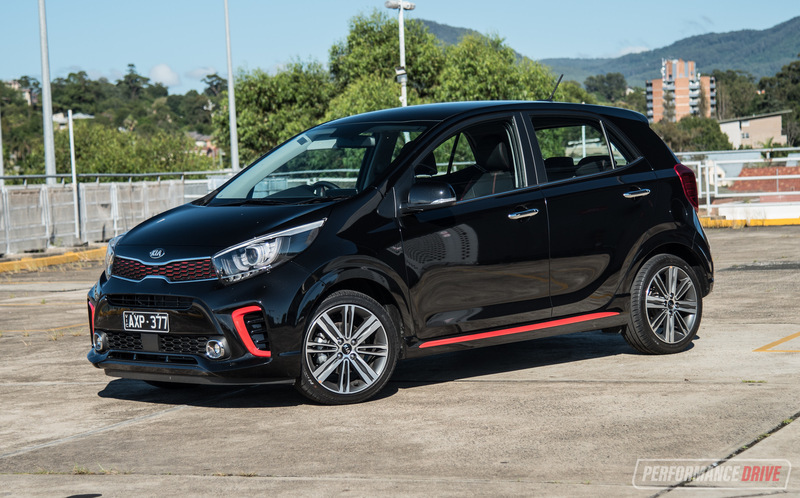 This is not bad at all – it actually gets off the line surprisingly suddenly. 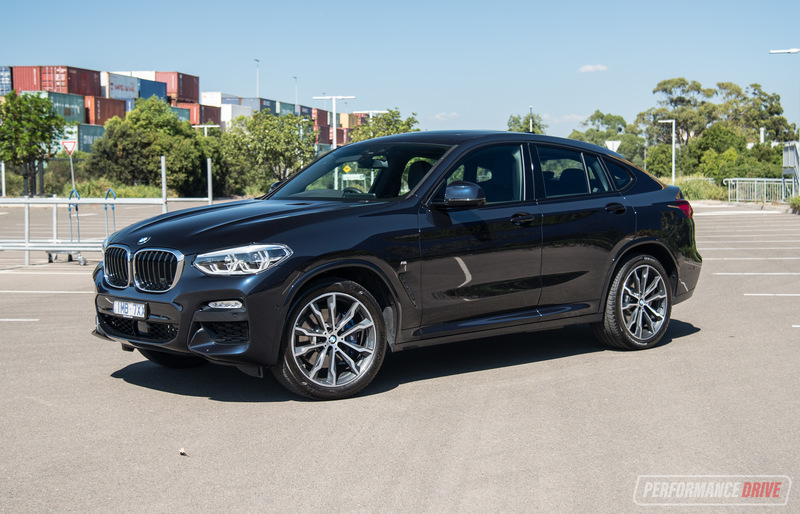 The transmission feels every bit as polished as the X4’s price tag would suggest, with smooth and sharp shifts up and down, and in stop-start traffic. 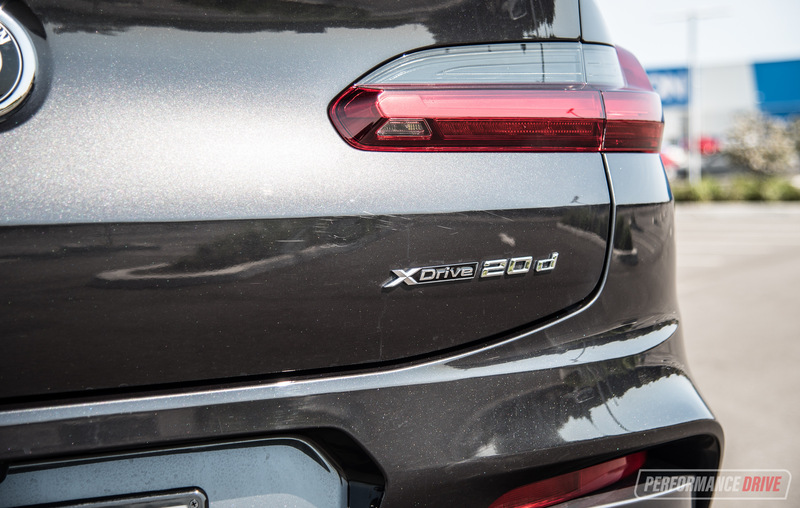 What surprises us the most about the 20d isn’t so much the performance, but the fuel economy. 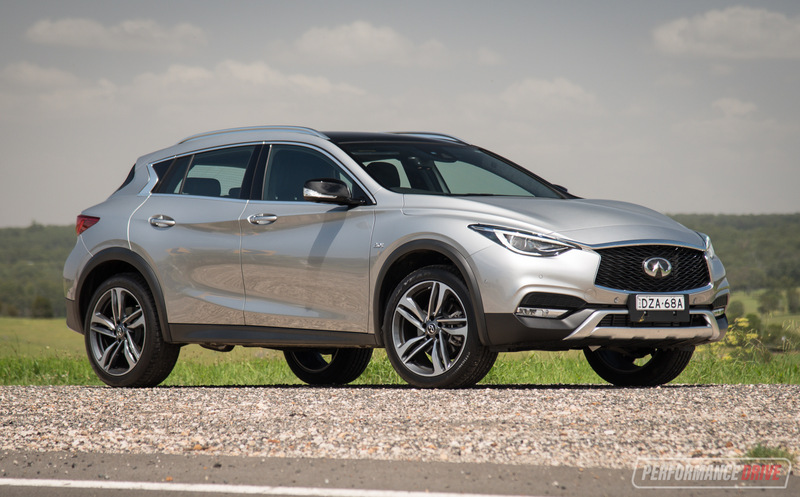 The official rating of 5.8L/100km can easily be matched on the highway. And around town we returned figures around the 8L/100km mark. 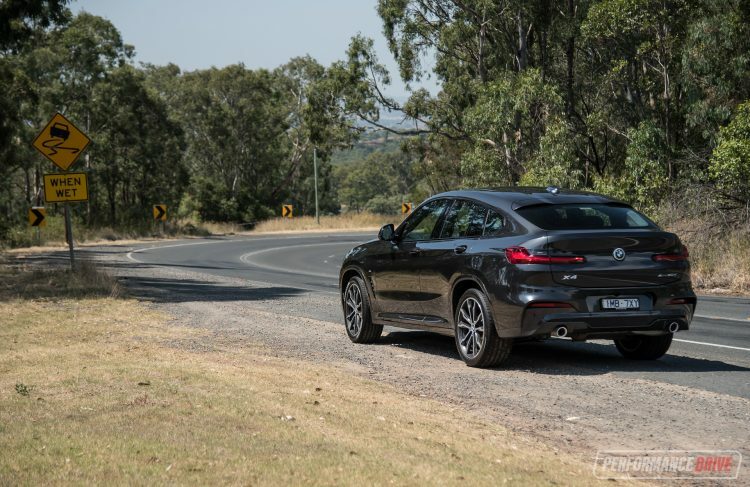 Impressive, considering both its constant all-wheel drive and 1698kg tare weight (heavy, but actually one of the lightest in the class; Mercedes GLC 220d Coupe has a tare weight of 1951kg). The ride quality is great for ironing out bumps and reducing unnecessary disturbances from the road surface. However, the steering can feel a bit lifeless at times. 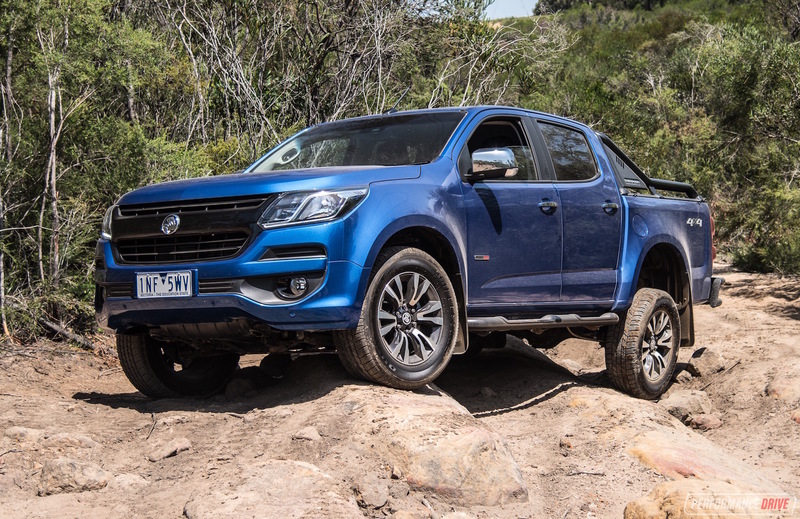 The three driving modes offer a distinctly different dynamic, with eco offering little for your throttle input, while sport sharpens up the throttle and stiffens up the steering. 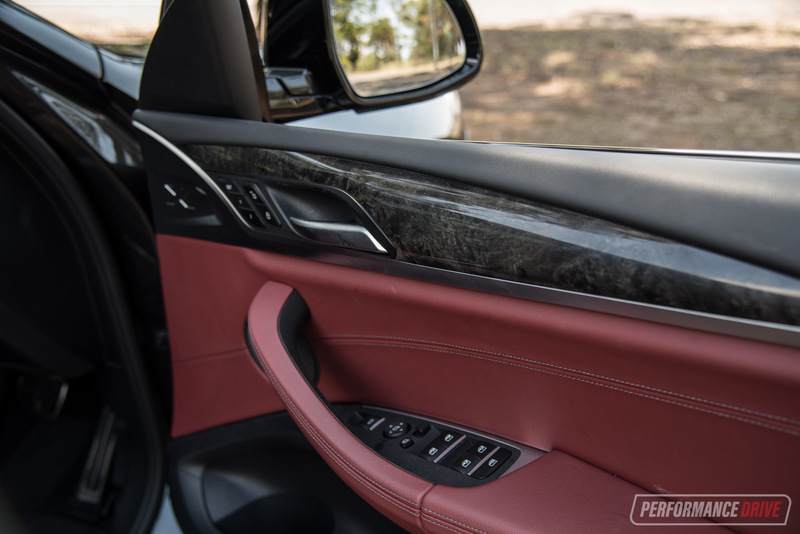 BMW has done an impressive job of reducing the amount of body roll down to almost zero, while doing well at disguising the weight when pushing hard around bends. 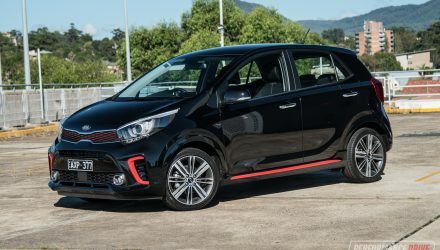 It almost behaves like a sports car, enthusiastically taking on corners and encouraging you to have some fun. 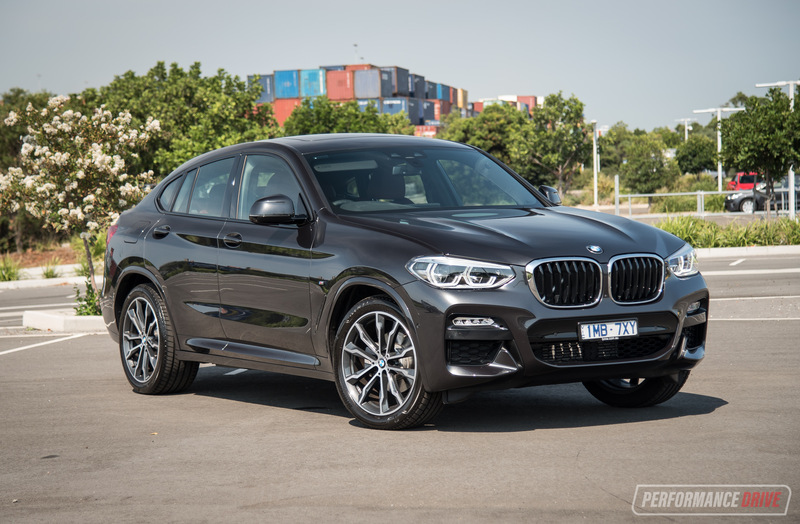 It is, no doubt, not a car you’d necessarily be inclined to mash down the throttle at every instance, but it’s certainly not an aspect that BMW has neglected to perfect. Overtaking is easy thanks to that torque. And all of it is available from just 1750rpm. Speaking of overtaking, you can do this so long as you can see whether or not there’s a car behind you; yes, there are thick blindspots to check here. Now, we can at times be over-critical when it comes to rear and rear three-quarter visibility. 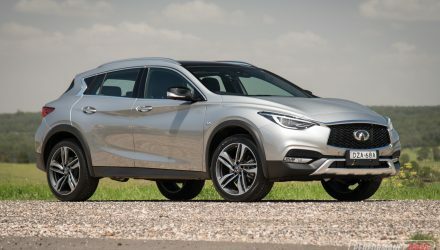 Because of bulky pillars, coupes are often a victim in a manufacturer’s hunt for that fashionable sloping roof aesthetic. But this has the rear visibility of a submarine, which means that as an everyday driver, it can be intimidating. 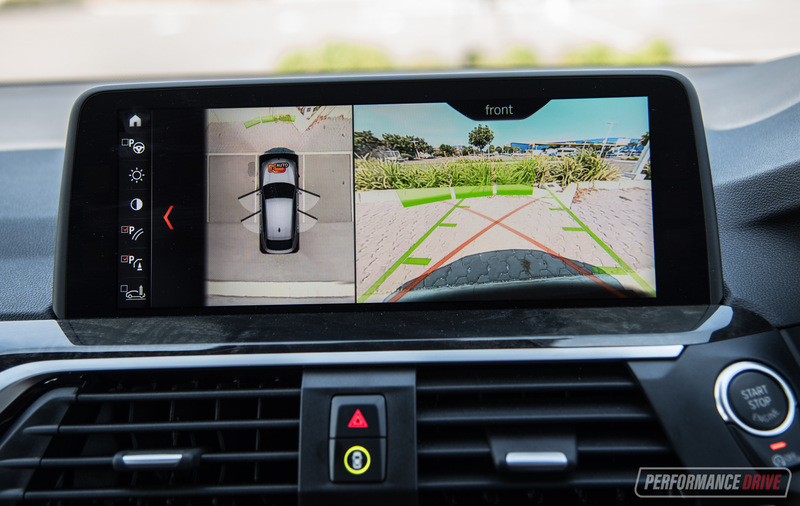 BMW will more than likely counter our point with a pitch on the effectiveness of its safety systems and military-grade cameras. 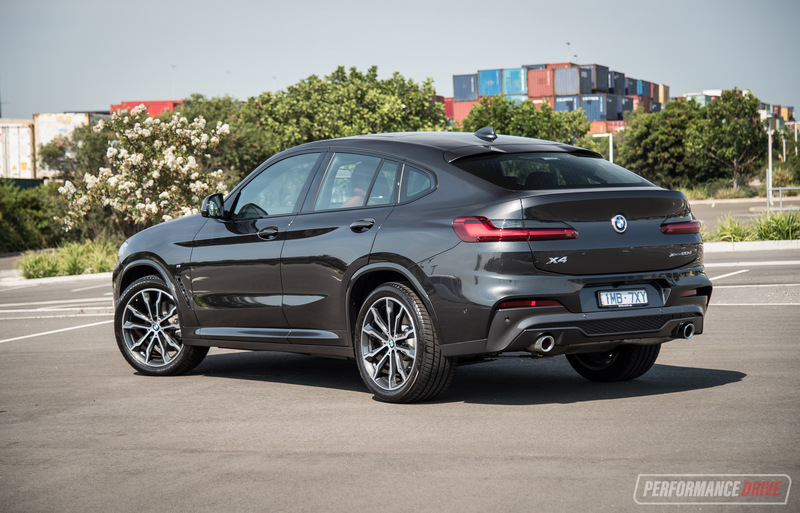 It should also be pointed out that the X4 can park itself. 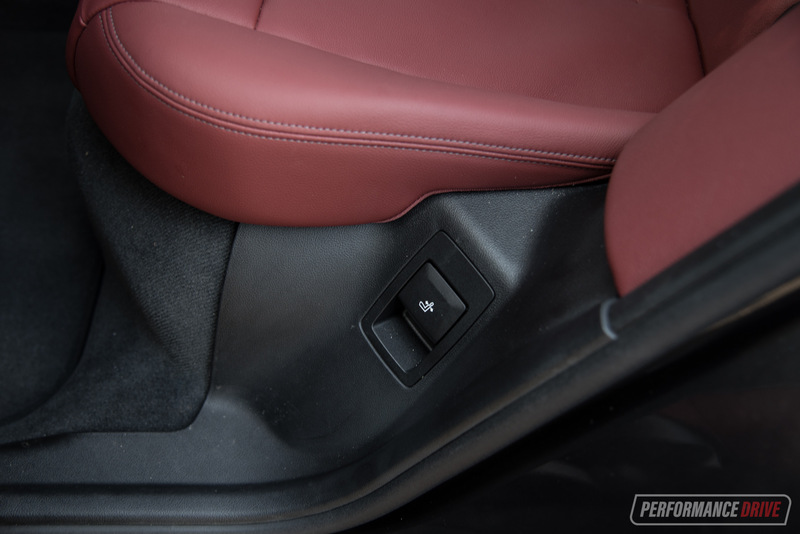 On an urban commute, BMW’s attention to reducing outside noise and vibrations coming into the cabin is outstanding. You could be parked up next to a Slayer concert and so long as the windows are closed, a newborn could continue their slumber. 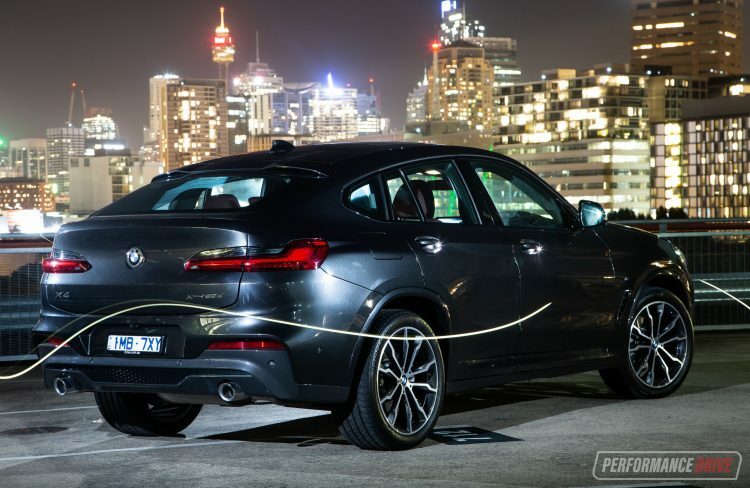 It’s every bit as quiet and comfortable as you’d expect from a BMW – or any car with this price tag, for that matter. It’s a wonderfully quiet cabin that gives you a sense of isolation from the stress and disturbances of a busy life, too. This, combined with the lack of visibility, could be part of the reason why you’ve been cut off by an X4 or X6 in the past few days. Try not to get too angry, they genuinely may not have been able to see you. 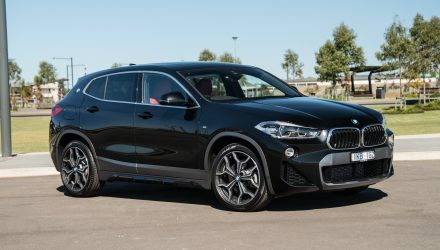 Is it worth that extra $10,000 over the X3? 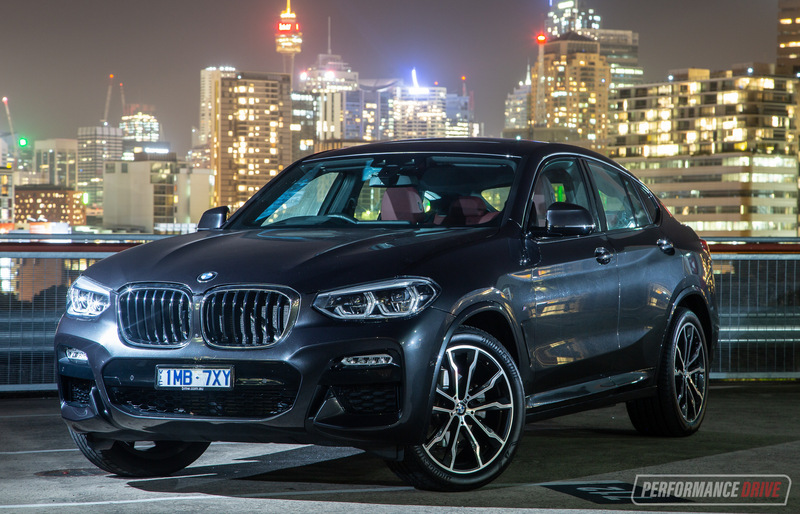 Well, in a lot of ways the X4 has been built for a certain segment of the population, rather than a purpose. 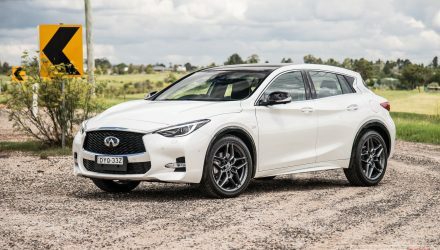 As a product, it serves the interests of that certain type of person that values unique styling and road presence over practicality. And it serves that purpose really well. 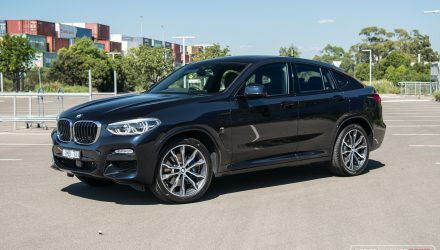 It also comes with some bonus features as standard over the X3, such as the must-have M Sport pack, which does go to some length to justify the price difference. In the end it’s an imperfect car in terms of the needs of most people, but for others, you won’t settle for anything less.